Thursday 29th June 1916: The Central Control Board (Liquor Traffic) has held an inquiry at Northampton Town Hall into a proposal that the counties of Bedford and Northampton should be scheduled as an area by Order in Council. The inquiry lasted eight hours and deputations from the local authorities and representing the licensed victuallers and brewers were heard. In Bedford market last Saturday a petition was signed by 400 farmers and tradesmen requesting the Central Board not to restrict the hours during which intoxicating liquors can be sold. They consider that any restriction will cause great inconvenience and seriously affect the agricultural industry in Bedfordshire. Statistics show that drunkenness in the boroughs and the county has much decreased since the beginning of the war. If the Order is made it is expected that the hours for indoor consumption on licensed premises or clubs will be limited to between noon and 2.30 p.m. and 6 p.m. and 9 p.m. on weekdays, with the existing hours returned for Sundays but with an evening closing time of 9 p.m. Hours for consumption off the premises would be similar except that sales would stop at 8 p.m. Off sales of spirits would only be allowed during the mid-day period, and then only from Monday to Friday. There would also be a “no-treating” regulation forbidding the supply or consumption of liquor ordered or paid for by a third person. No person would be allowed to treat another, except to a meal, and men would not be permitted to treat their wives with liquor on licensed premises. Wednesday 28th June 1916: Two conscientious objectors from Luton are in France where they expect to be sentenced to death for refusing to serve. The death sentence has already been passed on four men, though it was commuted to ten years penal servitude, and another thirty men are expecting to receive the same punishment. The two men are Quaker Harry E. Stanton and Bernard Bonner, an International Bible Student. Tuesday 27th June 1916: An inquest has been held at the Kempston Council Room into the death of Mrs. Alice Maud Edginton, who was drowned at Kempston on Friday evening. 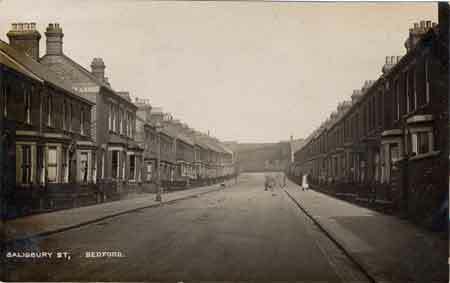 Her husband Private John Edginton, a driver in the Motor Transport of the Army Service Corps billeted at Station Road, Bedford, gave evidence that he, another soldier, Private W. Forbes, and his wife had gone for a row to Kempston. As they started back between 8 and 8.30 p.m. Forbes got his oar caught in the weeds; as he leaned over to free it the boat capsized and Mrs. Edginton sank. When the two men got out on the Kempston side of the river the boat was upside down on the other side. A police constable said he had been called to Hill Grounds at about 10.30 p.m. The two soldiers were there wet through and told him what had happened. He informed Police Sergeant Church. and the river was dragged. The body was found at 1.30 a.m. Sergeant Church told the court the boat was in order and trustworthy. The oars were found the next morning; Mrs. Edginton’s hand bag, a little black dog that was with the party, and Forbes’s tunic were still missing. The Coroner said there was no doubt that the men had done their best to recover Mrs. Edginton, which was no doubt why there was a lapse in time before the police were called. The jury found that the soldier’s wife was accidentally drowned, and great sympathy was expressed for her husband. Monday 26th June 1916: Captain Horace Edmund Martin, son of Mr. John Jeffrey Martin of Linslade, has died of shrapnel wounds. Despite the best surgical attention, Captain Martin suffered blood poisoning and relapsed. His parents and fiancée had been warned that he was dangerously ill and travelled to France, where they were with him at the military hospital at Le Treport where he died last Sunday (18th). 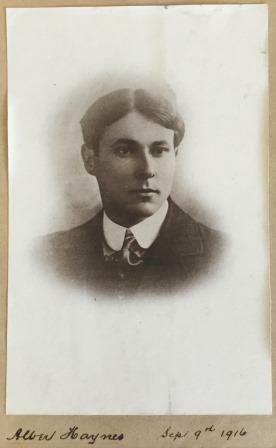 After receiving his early education at Mr. Douglas’s school at Beechcroft, Leighton Buzzard, Horace Martin spent two years at Aylesbury Grammar School before taking his degree at FitzWilliam Hall, Cambridge where he captained the cricket team. Before the war Captain Martin toured Belgium with his great friend and Cambridge tutor, Dr. L Alston. In 1914 he accepted the post of history master at Ealing County School. At Aylesbury Grammar School he was one of the founders of the School Cadet Corps, and he maintained his interest in the cadets at Cambridge. In September 1914 he was commissioned in the 2/8th Battalion, Middlesex Regiment. After training he went first to Gibraltar, then in a draft of reinforcements to join the 1/8th Battalion in France. He was gazetted Captain in December 1915. He had been acting as an instructor for some weeks before he was wounded. 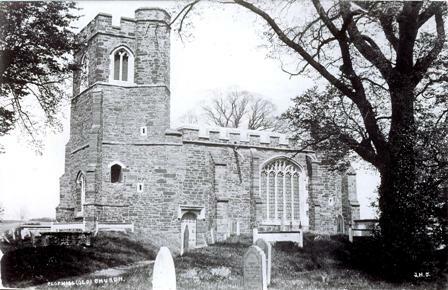 Horace Martin had been associated with St. Barnabas Church, Linslade from childhood, first as a little boy in Sunday School, then as a choirboy and later as choirman and reader. The early celebration of Holy Communion at the Church yesterday morning was a requiem service, and a memorial service for Captain Martin was held at the close of Evensong. The altar was beautifully decorated by the choir in memory of their former comrade, and the lectern was surrounded by roses and carnations as a memorial gift from the St. Barnabas Lodge of Freemasons, of which Captain Martin’s father was formerly Master. After the service the flowers were sent to a hospital for wounded soldiers. 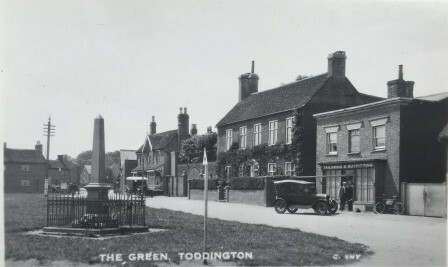 Sunday 25th June 1916: The village of Toddington has had an interesting couple of days. On Friday three companies of Royal Engineers from Haynes Park took part in an exercise with groups arriving at Toddington at various times of the day. The soldiers were billeted for the night in the Wesley Hall and the Rifle Range, and their motor and horse wagons were camped on the Green. They left again yesterday morning. A motor dispatch rider coming round the Leighton Road corner from the Green collided violently with a cyclist named Elizabeth Hucklesby, of Station Road. She was badly shaken and her knee was cut so badly that it required stitches. The dispatch rider was unhurt and was able to continue his journey. A former pupil of the Toddington Council School, Cyril Hack, is in hospital at Birmingham recovering from wounds received when a bomb exploded prematurely in his trench. He emigrated to Western Canada some years ago and joined the Canadian Forces when war broke out. A number of his comrades were killed in the explosion. Saturday 24th June 1916: Despite a day of repeated heavy showers, which caused the collectors to have to dodge into doorways and under awnings to avoid a drenching, today’s Alexandra Rose Day collection in Luton has been a great success. 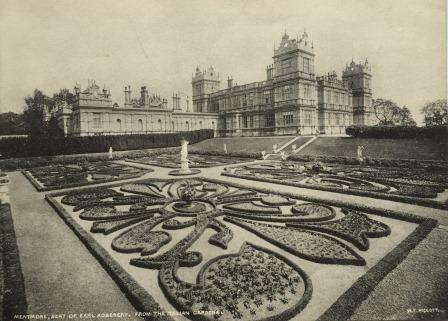 The women and girls collecting were all dressed in white, with sprays of the artificial flowers that made up their wares adorning their hats. This year the collection relied solely on street sales, without the visits to factories and places of amusement made in previous years. Despite this, the collection raised over £270, an increase of over £70 on last year and £120 more than the first Alexandra Rose Day in 1914. The proceeds are to be divided between the Bute Hospital and the Children’s Sick and Convalescent Home. This year’s event ran more smoothly thanks to a new working arrangement in which each district had its own depot, relieving pressure on the Town Hall. These included the Labour Exchange, the Liberal Club, Mount Tabor Chapel, High Town Chapel, and a number of private homes. Another great success was the service provided by the Luton 1st Girl Guides as messengers, replacing the Boy Scouts who had taken on this task in previous years. They are said to have discharged their duties in a “very smart and admirable manner”. Ironically a second man named Edward Oakley also from Eversholt died just over a week later on July 1st, killed in action in France with the 7th Battalion of the Bedfordshire Regiment. Thursday 22nd June 1916: There was much excitement at Wardown Hospital last night when a fire drill was held to test the speed at which the hospital could be evacuated. The nurses have been receiving instruction from the Luton Fire Brigade for some weeks, but were unaware until after the event that the report of a fire in the hospital annexe was a test. They passed with flying colours, managing to evacuate twenty five patients from their beds in two wards in only one minute, getting the men and their bedding out on to the lawn. 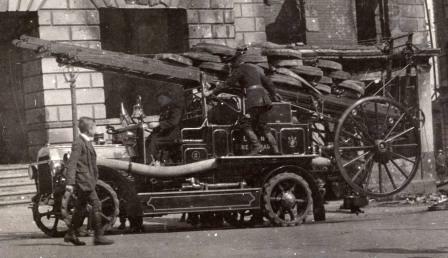 The Fire Brigade arrived with a motor engine just four minutes after the alarm was raised. They then carried out an imaginary rescue using lines from the first floor, and demonstrated how water could be drawn from the lake to put out any fire. Wednesday 21st June 1916: Following the death of his son Lieutenant Evelyn Collisson on 23rd February the Rector of Gravenhurst, Revd. Thomas Collisson, is leaving for a new living at Swyre in Dorset. In a letter of farewell to his parishioners he tells them: “After having lived amongst you for 19½ years it is a great wrench parting, but it must be after our very heavy bereavement. I give you our address in the hope that now and again I shall hear from you, and know how Gravenhurst Parish progresses spiritually and in worldly matters.” The Rector and his family are expected to leave Gravenhurst around the 19th July. He has been offered the living of Swyre by His Grace the Duke of Bedford, who owns much of the property there and ensures that the people are well cared for and housed at a cheap rental. It is to hoped that life in this “pretty little village” with its population of about 156 and a charming, stone Rectory, will help the Rector and his family to recover from their terrible loss. Tuesday 20th June 1916: Two Luton men are now in Russia as part of the “complete and fully-armed British unit” of the naval air service which has been despatched to serve with our Russian allies. On their arrival in the port of Archangel the men marched through the town and were given a great reception by the authorities of the town. Each man was presented with an ikon of Michael the Archangel, they were entertained in the Summer Garden, and the whole city was decorated with flags. At every town they passed through on their journey across Russia the British detachment was met at stations bedecked with flags by crowds of cheering locals throwing flowers, cigarettes and other gifts to the men. On its arrival in Moscow the British detachment of sixty armoured cars destined for service with the Russian Army was greeted with great enthusiasm. As they marched through the city behind a Russian band to the English church for a short service the men were cheered by large crowds and pelted with flowers. Lunch followed at the British Club, and Commander Locker-Lampson and several others were received by the Grand Duchess Elizabeth. A number of officers attended a performance in the Moscow Art Theatre at which they were cheered for over five minutes. During a march through the town escorted by a Cossack squadron a Cossack officer dismounted and offered his horse to the British Major. The detachment has now left for the Russian front. Before arriving in Russia Petty Officers Robert Starke and Harry Sell had spent five months in the Arctic , where their experiences must have been similar to those described in March by Petty Officer Albert Hartwell of Bedford. Petty Officer Starke joined up in November 1915 and must be finding life as a driver of an armoured car in Russia very different to his previous life as assistant to the Secretary of the Education Authority. 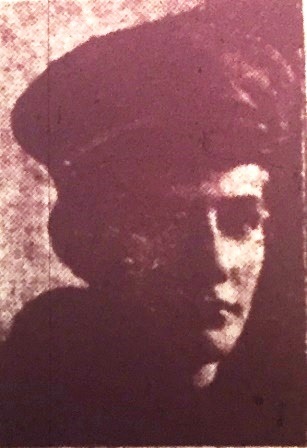 Petty Officer Sell is the son of the Luton schools attendance officer, and also worked at the Town Hall before the war, where he was in the Town Clerk’s office. Any farm willing to help is asked to send his name to the Director of Education at Shire Hall, or to Mr. Trustram Eve, Secretary to the War Agricultural Committee. The latter committee also reminds all “starred” men, and all those who have not attested voluntarily, that if they wish to be exempted from military service they must apply for a certificate of exemption before June 24th. Saturday 17th June 1916: The Dunstable Signal Depot of the Royal Engineers enjoyed splendid summer weather for today’s sports day. The sports were held at Messrs. Waterlow’s athletic ground, at the entrance to the chalk cutting, an excellent venue for such an event. The organisation was very thorough and things went “swimmingly from beginning to end” to the enjoyment of the large crowd of visitors who included the Mayor and Mayoress of Dunstable. To add variety to the sports comic entertainment was included. A very overgrown boy and girl, made up “in the most ludicrous manner” featured in the children’s races, and “Charlie Chaplin” made an appearance. The highlights were a comic policeman riding a bicycle and a “one man power” motor car which was accompanied by a few “apre sparks” in the form of big cannon fireworks. 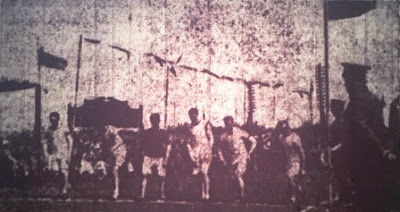 There were a large number of athletic events, including competitions for the children of the soldiers and of Waterlow’s employees. The depot band also enlivened proceedings with a musical programme; the programme also included a race of an “original” kind for bandsmen only. Sergeant Wells, the brother of a well known boxing champion won the hundred yards flat race, the one mile flat race, and several other events. Much amusement was provided by tilting the bucket, a boot race, an inter-company football match in sacks, a pillow fight on a greasy pole, a bun and treacle race, and an obstacle race. Prizes were presented by Lady Every, the wife of Captain Sir E. O. Every of the Norfolk Yeomanry, and the sports were followed by dancing on the green. Two other Haynes brothers are also serving their country, one in France and one in England. Their father, William Haynes, was formerly a Biggleswade Urban District Councillor. Albert Edward Haynes, aged 24, was killed in action on 6th September 1916; Walter Harold (or Harold Walter) Haynes was killed on 17th June 1917, aged 22. Thursday 15th June 1916: News has reached Clophill both of the Rector and of a number of its soldiers. Revd. Matthews has been ill and has spent some weeks in hospital, but is now well again and back to his duties as chaplain. 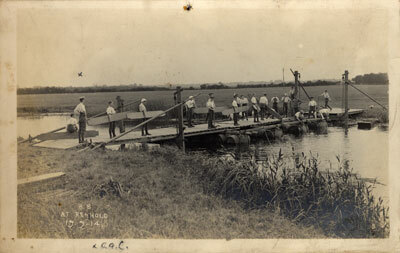 The tidings concerning three men serving with the Bedfordshire Regiment are mixed. Private Samuel Page of the 8th Bedfords has been seriously wounded and is now in hospital at Oxford where his life is still in danger. Corporal George Bone of the 2nd Bedfords has been at the Front since the beginning of the war and has been wounded several times; he is now progressing favourably following his most recent wound. The family of Private Arthur Richardson, who was reported some time ago as “missing, supposed dead”, have now heard that he is “wounded and a prisoner in Germany”. Finally, Sapper Albert Maddams of the Royal Engineers is reported to be “in hospital with foot trouble”. 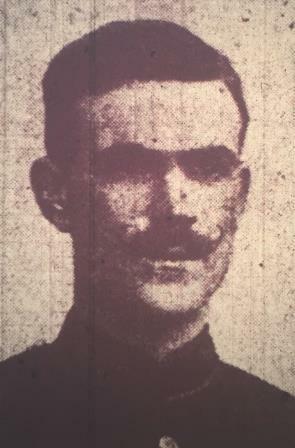 Wednesday 14th June 1916: An inquest has been held at Bedford in the case of Private Joseph O’Neil of the 2/6 Royal Welch Fusiliers who died at his billet at Gladstone Street on the evening of Friday 9th June. The soldier returned to the house at about 10 p.m. A little later the two soldiers billeted there with him heard the sound of a rifle and went upstairs. They found his body lying across a bedroom doorway with a bullet wound through the chest. Dr. Guy Thornton Birks had been visiting a patient at 68 Gladstone Street when he was called next door to number 70. He found the soldier lying on his back at the point of death, to which he succumbed shortly after. Dr. Birks found a small bullet wound near the man’s breastbone. There were no signs of scorching on his clothing, so the shot could not have been fired close to the body. A rifle was lying parallel to the man’s left side. He believed the wound must have been inflicted while Private O’Neil was standing as some plaster had knocked out of the wall at chest height, possibly by a bullet. He thought it was possible the man had fired the rifle himself and had then moved a foot or two. Private J. Davies of the 2/6 Royal Welch Fusiliers said he had known Private O’Neil for 18 years, and they had been at school together. Private O’Neil had been a carter, was about 32 years old, and came from Liverppol. They were both billeted in Gladstone Street, together with Robert Owens. 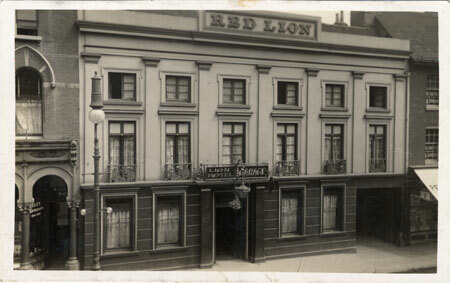 He had seen Private O’Neil on parade that day, then again at the Kent Arms in Salisbury Street at about 7.15 p.m. He appeared to be sober. He heard the rifle shot at 10.20 p.m. and found the dying man in the room he himself shared with Private Owens – Private O’Neil often used their room because his own had no gas. He did not notice the rifle at the time. He ran downstairs and told Robert Owens that O’Neil had shot himself, then went for the Military Police. Private O’Neil had been in the militia for three years but had been in the regular army for only a few weeks; O’Neil had told him that he did not like the regiment, and would rather be in the regiment he had joined, the King’s Liverpools.. He had seemed very low spirited. 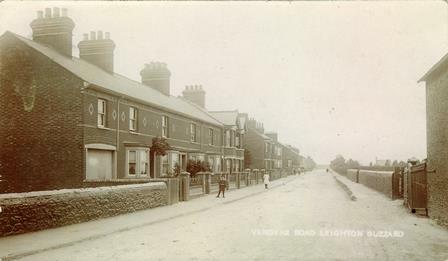 The landlady, Mrs. Jessie Higgins, said the soldiers had been with her for three weeks. She had heard Private O’Neil come in at 10 p.m. She passed him sitting in a chair at the door of Davies’ and Owens’ room as she went to let the other two soldiers in. Davies and Owens went to the kitchen to have their supper. She returned to her room and thought she heard voices from the adjoining room. She did not hear anyone come up the stairs. She heard some rushing about and thought she heard a door bang; then she heard the shot, followed by groans. She went into the room and saw Private O’Neil lying on his back and man standing at the head of the stairs. She said: “Oh, you’ve shot him”, and the man replied “He did it himself.” The man then went downstairs. “The chief boon conferred by Daylight Saving on millions of indoor workers is the extra hour’s light it gives them for some form of outdoor recreation. National health stands to gain enormously by a wise use of this added “playtime”, but it raises some little practical difficulties in domestic arrangements. In their anxiety to secure the full measure of additional sunshine, many young people will go straight from their work to their games without first going home for a meal, and by the time they do get home it will, in these long June days, be too late for any cooking. Sandwiches of various kinds will probably be much resorted to, both for a snack early in the evening and a light supper when the day is over. Here we have a suggestion to make. It is not nearly so well known as it should be that the tastiest, most appetising and most nourishing sandwiches can be made with Bovril. A few thin slices of bread, buttered over, and then spread with a thin coating of Bovril make a dainty and at the same time a stimulating and sustaining meal. Where desired, variety can be given by the addition of lettuce, water cress, sliced tomato, etc. 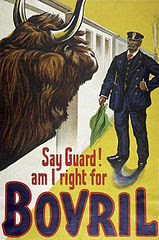 As a one ounce bottle of Bovril provides sufficient for sandwiches for two good meals, the hint will be found most useful by those who have to study economy, especially with meat at its present high price." 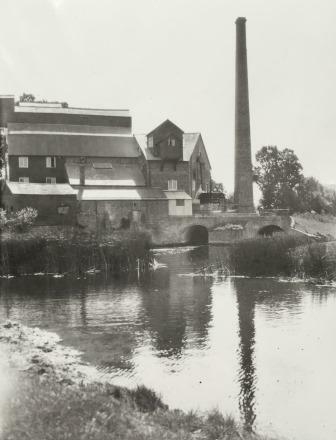 Monday 12th June 1916: William Mitchell, a labourer of Long Row, Vandyke Road, has appeared before the magistrates at Leighton Buzzard on a charge of causing grievous bodily harm to his 17 year old daughter, Rosa Ann Mitchell, on Saturday night. 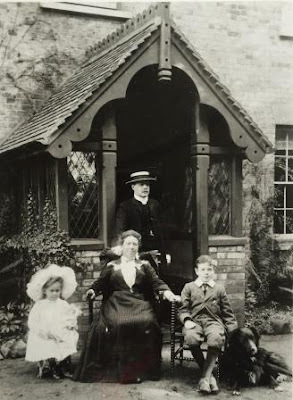 His wife Lily said that her husband came home at about 9 p.m. the worse for drink and accused her daughter, a munition worker at Luton, of staying out too late, although Rosa had arrived home before her father. He took off his belt and used it to strike the girl. Mrs Mitchell said he did not use the buckle end, and did not hit her daughter in the face. Police Superintendent warned her that she was contradicting statements she had made on oath and in her signed deposition. The mother then admitted that the girl had received a “mark” over one eye. She had tried to get between her husband and her daughter and had pushed the girl into the back kitchen, but Mitchell had pulled her out and struck at her with a broom stick. She had seen him strike Rosa across the head. A doctor was sent for who came and dressed the wound on the girl’s head. She had cried all night, but her mother thought that was more because her father had been arrested than due to pain from her injury. The doctor had said she would not be fit to go back to work for a week. The girl appeared in court with a bandaged head, and wept so bitterly that she had to be removed to another room. Mr. Mitchell asked for bail, saying he did not want to lose his job and that ”I will never touch another drop of drink as long as I live after I have seen what it leads to. I am very sorry for what I did.” The magistrate refused his request and Mitchell was remanded in custody. 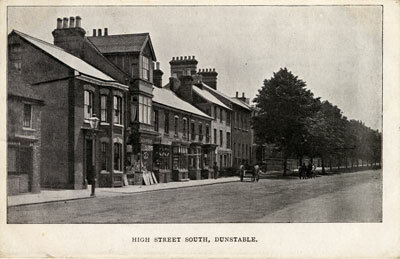 Sunday 11th June 1916: Due to a strange chain of events a young man from High Street South, Dunstable, has been charged at Luton with being an absentee from the Royal Highlanders. Russell Bliss had joined the Royal Highlanders in May and was sent to Perth. After being at Perth for three days he was transferred to the Royal Navy and sent to Portsmouth. When he arrived there he was kept in barracks for three days, without being sworn in or given a uniform. Fed up with this treatment he broke out of barracks. He was arrested by the naval police, but when they discovered he had not been sworn in he was discharged and given a railway pass to Bedford. Bliss then went home to Dunstable, only to find that his calling-up notice had arrived requiring him to report himself, which he did on Thursday morning. He was sent again to Bedford; the authorities there sent him back to the recruiting office at Luton, from where he was handed over to the police. He was then remanded until yesterday, when the Chief Constable told the magistrates that he had received the following telegram from the Commanding Officer at Perth: “Bliss was accepted by the naval recruiter, and therefore, I have nothing to do with him”. The Magistrate’s Clerk pointed out that he should not be treated as a deserter, as “he has evidently been bandied about from pillar to post. Apparently he is anxious to do something for his country, and no one seems to have helped him”. It was agreed that he should go back to the recruiting office and report himself, and that would be an end to the matter. 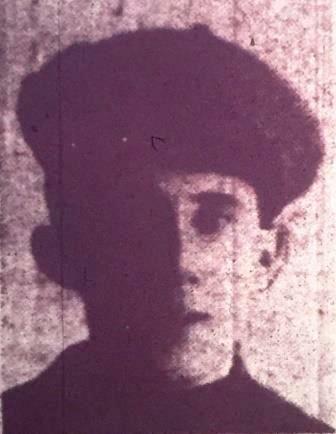 Saturday 10th June 1916: Seaman Thomas Fensome of 93 Hitchin Road, Luton has been home on leave, looking none the worse for his experiences on HMS Warspite at the Battle of Jutland. During the action the Warspite sailed into the midst of the German ships where it became a target for both heavy vessels and submarines. Despite the destruction of her steering gear and other damage caused by the shelling she endured, Warspite is claimed to have sunk two German cruisers and several destroyers. 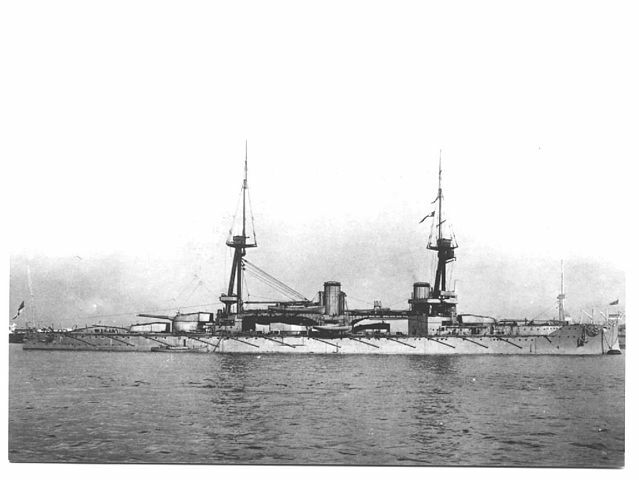 The Warspite herself remained afloat and was able to get home to port. Tom Fensome was in the magazine, 90 feet below decks, where the lads must fight without knowing what is going on above them. 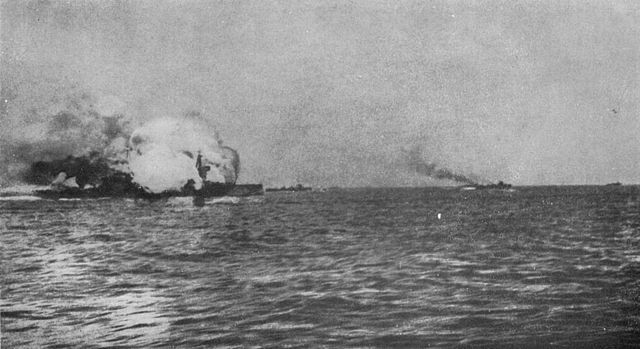 A number of Luton sailors have been lost in this great sea battle, including two who were killed on HMS Invincible: Engineer-Lieutenant John McLennan Hine, a qualified naval engineer who had been chief engineer to the Holme Line of steamships at Maryport in Cumberland before moving to Luton, and Edmond Charles Dexter. “Ted” Dexter married just three years ago and on hearing the news of the loss of her husband’s ship his young wife wrote bravely to his parents: “We are not the only ones that have lost our dearest. There are thousands upon thousands of others who have lost three or four in this great battle, and I am trying to face the future for baby’s sake. It is a bitter loss to us both, but I am proud to think that I am his wife and the mother of his son, and I hope and pray to God that he will give me strength to bring him up as his daddy would have me do. I am also proud that your boy and mine died fighting. I say died because I know he would never drown, and that he would fight to the bitter end”. The mother of Frederick George Darby received a telegram from the Admiralty notifying her that her son, a signal boy on board the Black Prince was feared lost. 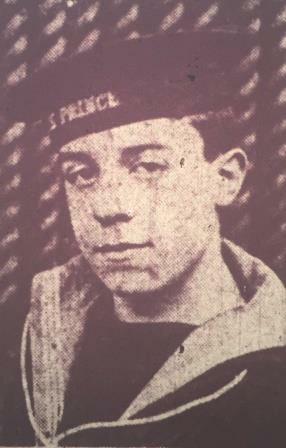 A former pupil of Beech Hill School, he had been in the navy for eighteen months. He was due to celebrate his 17th birth next month. He has three brothers serving as soldiers, one of whom was the first in the Bedfordshire Regiment to win the Distinguished Conduct Medal. Most of the entrants were girls from agricultural backgrounds, some of them very young. Nerves meant they did not all perform as well as they might have done in less trying circumstances, but it was clear that in a more familiar and favourable field they would be quite expert. The work of many of the competitors was quite good, and would be serviceable and acceptable to farmers if it could be sustained for an entire day’s work. The milking was a picturesque scene, with “ten merry milkmaids, clad in ideal dresses and bonnets, armed with three-legged stools, and shining pails, tackled as many cows that were waiting patiently in the thatched hovel”. 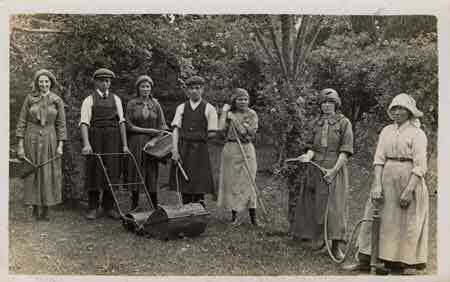 Unsurprisingly there were rather more entrants for the hoeing corn class (nineteen) than there were for ploughing (two). The work of these two girls with the plough was described as “fair”. One of the most successful competitions was the Harnessing and Management of Horses, in which the thirteen candidates showed great confidence in handling the horses, and dexterity in putting on the harness. Thursday 8th June 1916: The Officer Training Corps (OTC) of Bedford School have had the honour today of marching past Field Marshal Lord French, the Commander-in-Chief of the Home Forces. The march past took place along Bromham Road, with the OTC in front of the 68th Division. Afterwards the boys stood at the side of the road to watch the Division go by. They were then allowed to make use of the trenches in Queen’s Park where an Old Bedfordian, Lieutenant Litton, gave them instruction in bombing attacks. This was followed by a very realistic and exciting fight in the trenches, using sand bag bombs and blank ammunition. The exercise finished with Lt. Litton showing the boys how to blow up a barricade across a trench. This has been a busy week for the OTC, who were given their Annual Inspection on Tuesday by Major Stevens, the Second in Command of the Duke of Bedford’s Training Camp at Ampthill. The Corps was inspected in company drill, rifle exercises, and extended order drill; and advanced and rear guards were put out. Major Stevens gave the boys some very useful advice, and made some complimentary remarks about the Corps. 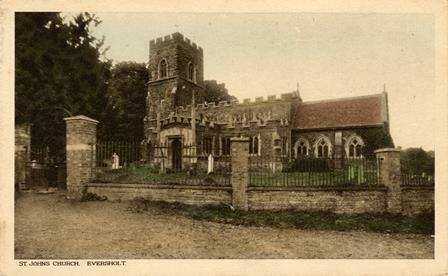 Wednesday 7th June 1916: The organist of a Dunstable Church has had his appeal against the Dunstable Tribunal’s rejection of his application for exemption from military service dismissed. He has been passed fit for the Army but only for sedentary work, a class in which it is considered unlikely that he will actually be called upon to serve. The Appeal Tribunal considered that as the gentleman had been examined twice, with the conclusion that he could serve even though only in a sedentary capacity, the issue came down to whether or not his work as an organist could be considered to be of nation importance. The Tribunal decided that it could not. Tuesday 6th June 1916: More news has reached Bedford of last week’s great naval battle at Jutland. 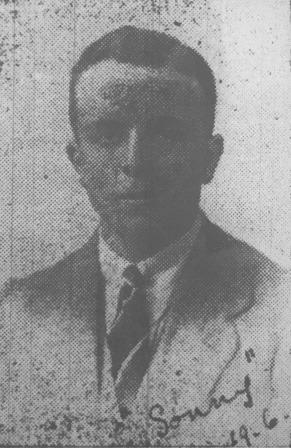 Lieutenant William Goodenough Halliley, as second in command of the destroyer HMS Nomad and is believed to have perished when Nomad was sunk. After leaving Bedford Grammar School in 1897 he entered the Mercantile Marine. When the war began he joined the Navy and had previously served on HMS Albemarle. Other casualties from Bedford include Chief Petty Officer Peckham of Hartington Street, whose wife has received official notification from the Admiralty that her husband went down with his ship, the Invincible, and Gunner John Kemp of Park Road, the grandson of Mr John Dixon, the Mayor’s Sergeant. He was the first boy recruited from Bedford for the Navy when the war broke out. Mr and Mrs Robert Lilley of Dudley Street have better news of their son Charles. He was believed to have gone down on the Turbulent but they have now heard that he is safe and on his way to Portsmouth on another ship. S. G. Locke, the son of Mr Frank Locke of Kempston Road has also survived the battle. He lost all his gear but arrived home this morning for a well-earned rest; unsurprisingly he is not looking so well as he did when home on leave a month ago. The report of Lieutenant Halliley’s death was premature and he had in fact been taken prisoner. He was the uncle of John Elton le Mesurier Halliley, better known as John le Mesurier (Sergeant Wilson in the Dad’s Army TV series). Make up your mind to cut down expenses. There is sure to be something you can save money on. Don’t waste food. Use up scraps. Be sparing of meat. Cheese, herrings, beans or split peas are as nourishing as meat. Freshen stale bread by moistening it and putting it in the oven. Cook potatoes in their skins. Don’t buy lamb, veal or luxuries in food. Only get nourishing food, it goes further. Plant and sow all the vegetables you can, especially turnips, potatoes, onions, beets. Store these with all the apples against the winters. Help the Farmers get their crops in. We want all the food we can get for man and beast. Don’t be tempted to buy anything unnecessary, either from shops or hawkers. Don’t take an expensive holiday this summer. Spend your holiday at home. HELP YOUR COUNTRY! HELP YOURSELF! Saturday 3rd June 1916: The grandson of Mr. T. Brown of Dudley Street, Leighton Buzzard is celebrating his 18th birthday today in a hospital in Scotland. Frost bite and exposure in the trenches in France has left him with all his toes missing from his right foot; he has also lost the big toe of his left foot. Worse news has been received of Mr. Charles Cameron Douglas of the Cameron Highlanders. Mr Douglas was a member of the Mentmore Estate Office staff, well known for his sporting prowess. 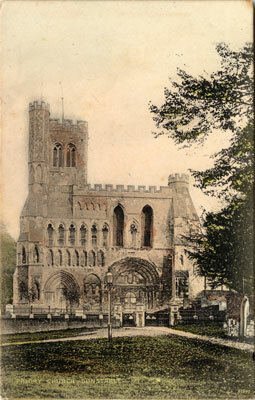 He played Rugby at both Bedford and Northampton, and was a popular member of the Leighton Town Tennis Club. 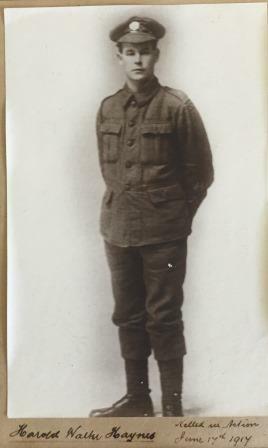 He enlisted in March 1915 and went to the front in July. He is believed to have been killed accidentally in a bombing school. Friday 2nd June 1916: Corporal Jeffrey, a Luton man serving with the 5th South Staffords, took part in the recent fighting in Dublin. 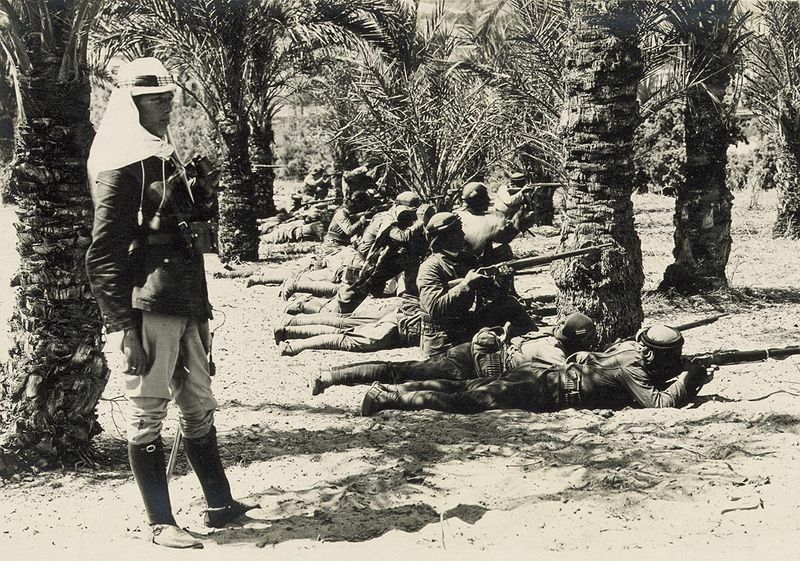 Shortly after going into action the Sergeant of his Machine Gun Detachment was wounded. Corporal Jeffrey carried on, performing with great credit to both himself and his Battalion. 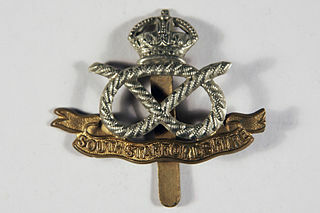 Under fire from a number of snipers he rescued two wounded members of the 6th South Staffords, at great personal risk. After the action his detachment was personally thanked by General Maxwell, the Commanding Officer in Ireland.